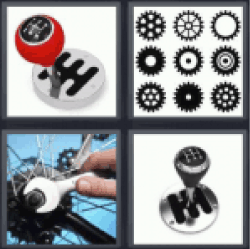 4 pics 1 word tightening nut. Gear shift lever. Gear changes in the car. Thanks for visiting 4-Pics-1-Word.com, here are the cheats for your favorite game. 4 pics 1 word tightening nut. Gear shift lever. Gear changes in the car.